StarCraft II: Heart of the Swarm is the second game in the StarCraft II trilogy. As expected of an expansion pack, the game features new units, new multiplayer maps and a new campaign. Matchmaking for multiplayer has been improved, and a variety of social features have been added to make it easier than ever for fans to play with their friends or to find appropriately skilled opponents. The Game Editor has also been enhanced so that aspiring game designers and creative types can use their talents to design better maps and mods for StarCraft II. After the events of StarCraft II: Wings of Liberty, Sarah Kerrigan, the Queen of Blades and leader of a race of power hungry aliens called the Zerg, has had her humanity restored by an ancient artifact and has been reunited with her old flame and companion, Jim Raynor. Still retaining her influence over the Zerg, Kerrigan vows revenge against Emperor Mengsk, the man who sacrificed her to the Zerg in the first place and who is responsible for the deaths of millions of Terrans (the human race). 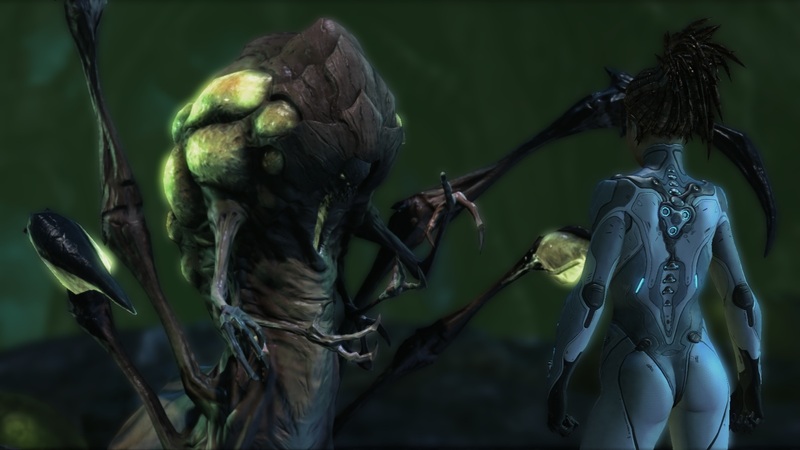 The campaign in StarCraft II: Heart of the Swarm is different from previous games in the series in that the player is able to build up Kerrigan as a hero unit throughout the entire campaign. By completing missions and optional secondary objectives Kerrigan gains levels to increase her strength and to learn new abilities. Many of Kerrigan’s abilities are mutually exclusive, but the player is free to switch between them during the downtime between missions. Getting Kerrigan to her maximum level unlocks some absolutely devastating abilities, and developing her power adds a lot of fun to the game. Also, the player can replay levels in which he or she missed the optional objectives, so it is never impossible to reach the maximum level. The player is also given control over how their army develops. Seven of the Zerg units can be given one of three upgrades. These too can be changed in between missions and can have drastic impact on play style and strategy. For example, the Zergling (a small but fast melee unit) can be given a 30% increase to its maximum life, a 50% increase to its attack speed or a 60% increase to its movement speed. In addition, units can also be evolved in one of two ways. This evolution is (oddly) the only case of permanence that exists in the campaign of StarCraft II: Heart of the Swarm, as this decision cannot be changed without starting a new game. 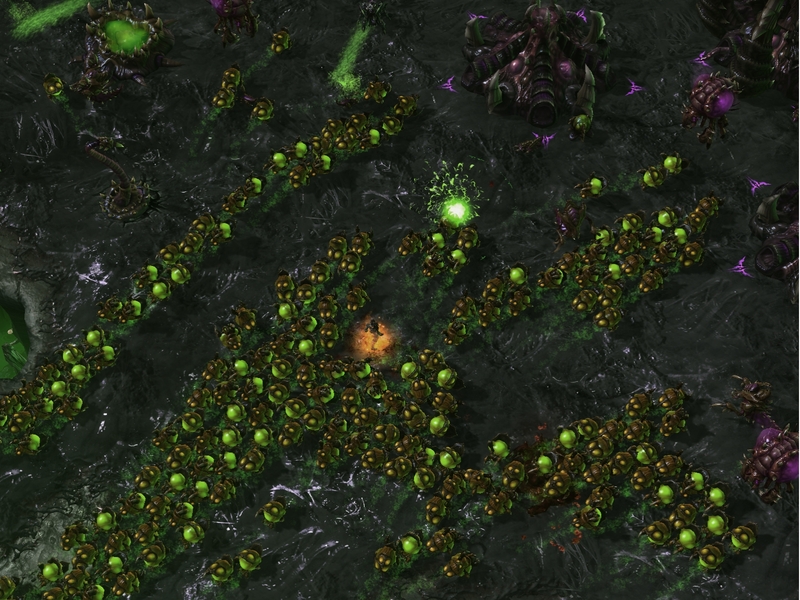 The Zergling can be evolved into either Raptors (allowing them to jump up cliffs and obstacles) or Swarmlings (which spawn almost instantly in groups of three instead of two). Evolving a unit is just a matter of completing a brief tutorial mission that introduces the two variations. It’s great that the player is able to make an educated decision about which evolution to choose, but these missions are otherwise simplistic and add little to the game. Actually, the fact that the evolution missions are counted among the total number of missions in the game seems like nothing more than a sneaky attempt by Blizzard to hide how short the campaign is. The original StarCraft had 30 missions (plus tutorials), StarCraft: Brood War had 27 (including the secret mission), and StarCraft II: Wings of Liberty had 29 (including the bonus mission and branching missions). If the evolution missions are not counted, there are only 20 campaign missions in StarCraft II: Heart of the Swarm, and I completed those missions and all of their optional objectives on Hard mode in about 9 hours (it would have been even shorter on Normal or Casual). Adding to that the time it takes to watch the numerous story sequences and to listen to all the dialogue, the game becomes a few hours longer. But all in all, the campaign is a noticeably brief experience. There are plenty of reasons to play the campaign more than once however. Upon completing the game the Master Archives become available. This feature allows the player to replay any stage in the game and to change any of the previously made decisions, including the choice of unit evolution. StarCraft II: Heart of the Swarm also has a multitude of achievements to strive for, and there are dozens of tricky ones to attempt in the campaign. Each level has three achievements that are shown on the victory screen (or in the achievements menu). One of the three is always awarded for simply beating the level. The other two are mission specific challenges that usually require some extra planning and give reason enough to play the levels more than once. There’s also a list of Mastery achievements that can only be completed on Hard mode, and those are no joke. And completionists will have to complete the game on Brutal if they want every last single player achievement in the game. The levels themselves feature a variety of gimmicks to keep things as fresh as possible, but sometimes they go too far out of their way in order to do so. For example, there are bosses in StarCraft II: Heart of the Swarm, which usually involve Kerrigan facing off against an enemy 1 on 1 (or with a small number of minions). These battles are reminiscent of boss fights from other Blizzard games such as World of WarCraft and Diablo III and feel a bit out of place in this real time strategy game. There are visual indicators that alert the player to where damage will be dealt, allowing time for Kerrigan to get out of the way (don’t stand in the fire). And Kerrigan’s abilities are bound to Q, W and E, so it really feels similar to a quick bar in an MMORPG. Beyond that, there is a level that plays alarmingly similarly to League of Legends, DOTA 2 or another MOBA (not surprising considering the origin of the genre), and though it is a fun distraction, it makes the short campaign seem even shorter. Ultimately, most of the levels in the campaign do involve more than just “build, expand and conquer,” but there’s plenty of that too. In fact, despite all of the effort to make the game feel new, it often feels more nostalgic than anything else. It doesn’t help that the story throughout the campaign is overdramatic and hard to relate to. The original StarCraft and its expansion, StarCraft: Brood War, were not exactly Shakespeare, but the stories they told had relatable characters and a few surprising plot twists. In contrast, the characters in StarCraft II: Heart of the Swarm, while well developed, seem a bit ridiculous. Especially the returning characters like Kerrigan, Raynor, Mengsk and one other that I won’t spoil in this review. Those characters changed somewhere in their transition to the high production values of the new games. It’s almost liked the increased detail revealed all of their flaws. Though you can see the emotion behind a character’s eyes, the connection to the player is somehow lost. Serious moments become laughable, and the plot twists are not all that surprising. On the other hand, Blizzard can only be commended for their artistic talent which can be appreciated throughout the game and especially during the in-game story sequences and the pre-rendered cinematic movies. These scenes are more frequent than ever before, and I couldn’t help but marvel at them. I also loved the set pieces in between missions where the characters and backgrounds looked phenomenal. I only wish the visuals during gameplay were equally impressive. The game does look good during gameplay, albeit a little dated. I just wonder how the final game in the trilogy, StarCraft II: Legacy of the Void, will look compared to its competitors when it is released. Aurally, StarCraft II: Heart of the Swarm impresses. The sound effects are crisp and clear, and help immerse the player in the action. The music is also perfectly matched to each moment in the game, and there are many beautiful orchestrations and choral performances to be appreciated. The only downside is the voice acting which suffers from the weakness of the script and its confident characters constantly babbling about the impending destruction of their foes. During gameplay, however, the voices do a good job and match Blizzard’s usual standard. It’s a good thing too, because you will be hearing a lot of those voices if you choose to dig into the multiplayer part of StarCraft II: Heart of the Swarm. If the campaign falls a bit short, multiplayer is where many players will get their money’s worth. There are many great features that Blizzard added both for veterans and newcomers. 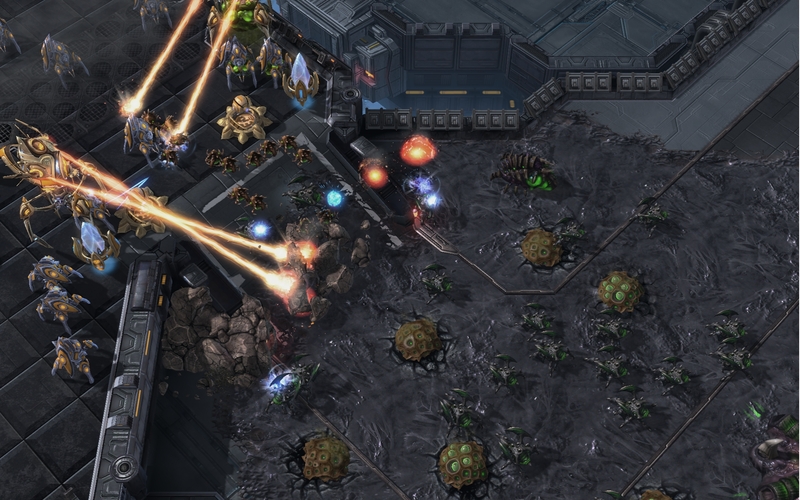 Let’s face it, getting into the multiplayer aspect of StarCraft II can be very intimidating for new players. To ease the learning curve, Blizzard has added a couple new choices under the Matchmaking menu. The first is Training, where players can pick a race and then play through 3 stages designed to teach a basic build that can be used against real players. It literally provides an endless series of objectives according to what the player should be doing at any given time. It starts with generating workers and increasing supply and then moves on to building structures and forming an army. Crucially, it also covers when to expand and scouting. If the player does something wrong, such as building on top of a Vespene geyser too early when they should still be focused on generating workers, they will be alerted. If the player forgets to do something such as increasing supply when nearing the supply limit, they will be reminded to take the appropriate action. Another great addition is unranked matchmaking. This allows players to play against similarly skilled opponents without the pressure of a ranked environment. When coupled with training mode and the Versus A.I. mode, it’s never been easier to start playing multiplayer in a StarCraft game. In the Versus A.I. mode, the player can mouse over the difficulty setting for the A.I. to see how it compares to the campaign. This is useful since the campaign only has 4 difficulty settings but the A.I. has 7, and it eases the transition from the campaign to multiplayer. Instead of getting thrown to the wolves, amateurs will at least be somewhat prepared for what’s ahead. Of course, for those that live for the competition, ranked matchmaking is where players will find their greatest challenges while attempting to climb the ladder. For players that would rather avoid strangers entirely, Custom games are the perfect choice. They allow the host the complete freedom of choosing their allies and opponents, whether they are human or not. StarCraft II: Heart of the Swarm rewards players for participating in a lot of multiplayer games by giving out experience for various in game tasks (such as spending resources and defeating enemy units and buildings) and for completing games. The experience goes towards the Swarm Level of whichever race was used. As the Swarm Level increases for a given race, decals, skins, portraits and animations are unlocked and can be used to cosmetically customize units and armies. The game also awards a 25% bonus in Swarm Level experience for playing with friends. As with the campaign, there are also an incredible number of achievements that can be unlocked while taking part in multiplayer. They cover every possible game mode from 1v1 and team play to games against the A.I. and its various levels of difficulty. Achievements can be unlocked whether playing ranked or unranked games and there are separate achievements for games played via Matchmaking and Custom games. As with any expansion to a real time strategy game, the most significant change to the multiplayer modes of StarCraft II: Heart of the Swarm are the new units available to each race. 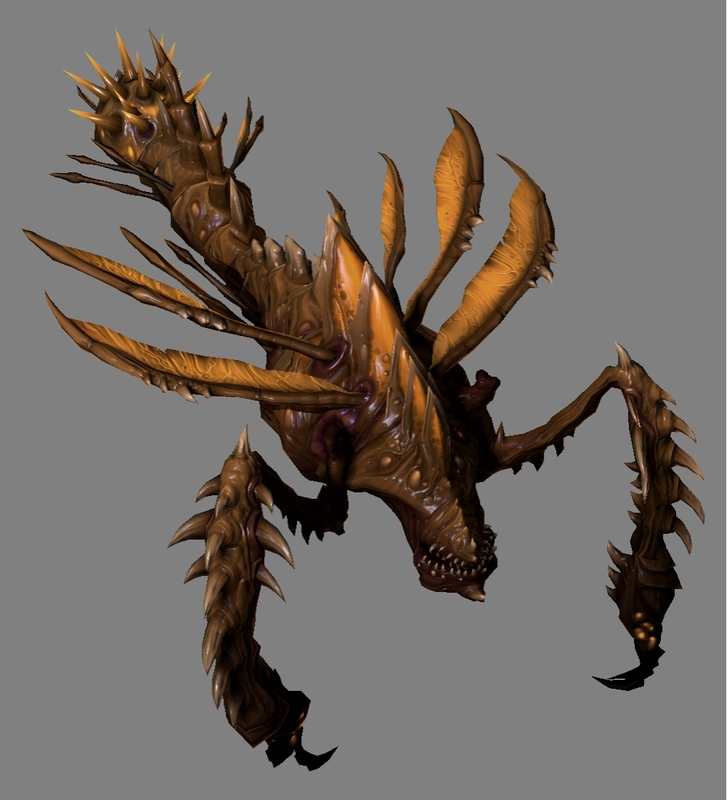 One such unit, the Swarm Host, is featured in the campaign. It is a strange unit that cannot attack on its own, but when burrowed can unleash a swarm of locusts that can attack ground units and structures. The other new Zerg unit, the Viper, is a flying caster with a couple of interesting abilities. Abduct allows it to pull a unit to its current location (great against long range units like Siege Tanks). Blinding Cloud reduces the attack range of ground units enveloped by it so that they can only use melee attacks. The Viper is also available in the campaign as an evolution of the Mutalisk, but the player may choose to evolve Mutalisks into Brood Lords instead. The Protoss (a technologically advanced alien race) have received three new additions. The Mothership Core—a version of the Mothership that can be used earlier in the game—is specialized for defense. It can use Mass Recall to teleport nearby units back to the base. It can also temporarily turn a Nexus into a weapon for 60 seconds with Photon Overcharge. It also has the Time Warp ability which creates a temporal field that reduces the movement speed of ground units. Finally, it can upgrade into the Mothership, which cloaks all of the units and buildings nearby. The Oracle is another new flying caster. Its Revelation ability is similar to the Terran’s Scanner Sweep in that it reveals a part of the map and any units or buildings that might be there. The Oracle also has Envision, which allows it to detect cloaked units for 60 seconds. Lastly, it can attack a unit directly with Pulsar Beam. 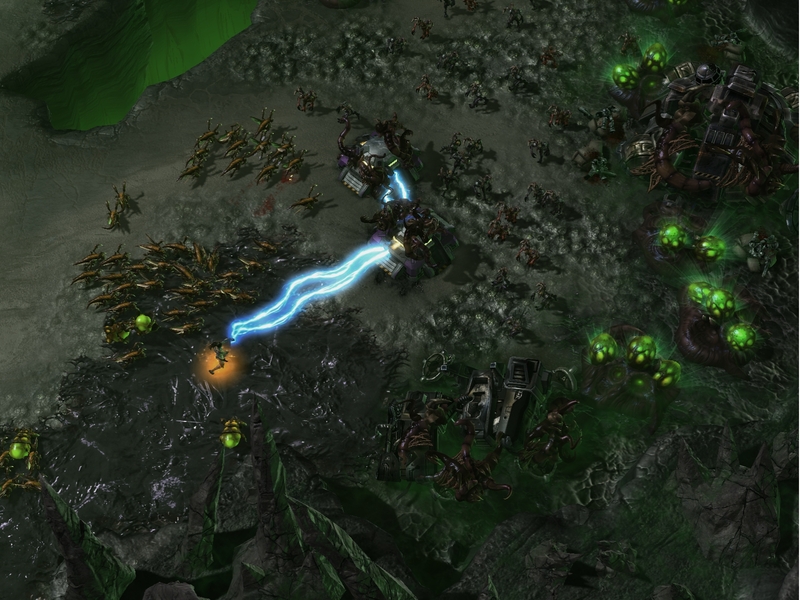 The last new unit for the Protoss is the Tempest, a massive and versatile air unit that can attack just about anything. For the Terrans, the Hellion was given the ability to transform into a Hellbat. In that form, it has stronger ground attacks that do splash damage, making them effective against groups of enemy infantry. The other new unit for Terrans is the Widow Mine. This walking mine can only attack while concealed underground and activated. It does a lot of damage, but attacks extremely slowly—literally one blast every 40 seconds. The good news is that it can attack air units. All of the new units in StarCraft II: Heart of the Swarm complement the already enjoyable and addicting multiplayer experience that existed in StarCraft II: Wings of Liberty. The new features designed to ease in newcomers are great, and there are also some additions that will make veterans happy. Groups allow players to form clans or guilds, participate in chat rooms and keep track of rosters. Replays have been enhanced by allowing the viewer(s) to actually resume a game from any given point in the replay. Games that are interrupted by disconnected players can be recovered and resumed. There are also new maps built upon new tilesets to freshen things up. Finally, the Game Editor has been improved so that community maps will have even greater potential, which should lead to some great new games in Arcade mode (the StarCraft II hub for community created content). There is a lot to like about StarCraft II: Heart of the Swarm, but the question is whether or not it is worth the price of admission. It is priced as an expansion pack at $39.99, but that’s still a fair amount of money. To a player interested in playing through the story, it seems expensive considering the brevity of the campaign. To a player only concerned with multiplayer, even with all of the improvements, the majority of the StarCraft II experience can still be enjoyed with Wings of Liberty alone, and there really aren’t that many new units. But for the true StarCraft fan, for a multiplayer newcomer eager to improve their skills or for the player that will seek out every achievement and play every mode, StarCraft II: Heart of the Swarm provides plenty of reasons to get addicted all over again, and so it is easy to recommend. Ari completed the StarCraft II: Heart of the Swarm campaign in 9 hours on Hard mode, and played a total of 30 hours of the game before writing this review. He is a longtime fan of the StarCraft series. He did not receive a copy of the game from Blizzard for review purposes.